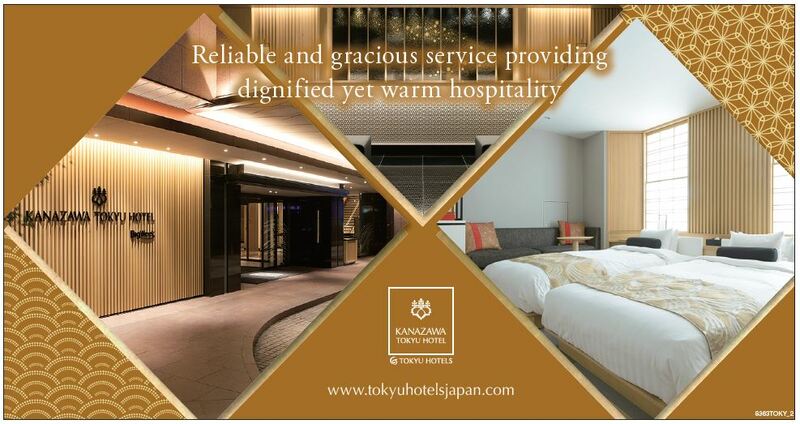 Hakone, an onsen (hot spring) town located in Kanagawa, a prefecture adjacent to Tokyo, is a well-established tourist destination in Japan renowned for the steamy, volcanic valleys of Owakudani and the magnificent Lake Ashi amongst a myriad of other sightseeing hot spots. 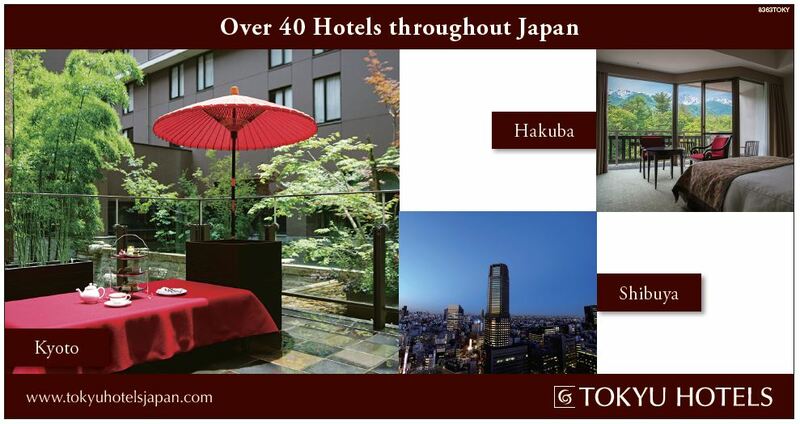 While it boasts its own share of accommodation options, many travellers opt to take day-trips to Hakone from Tokyo because of how easily accessible it is. 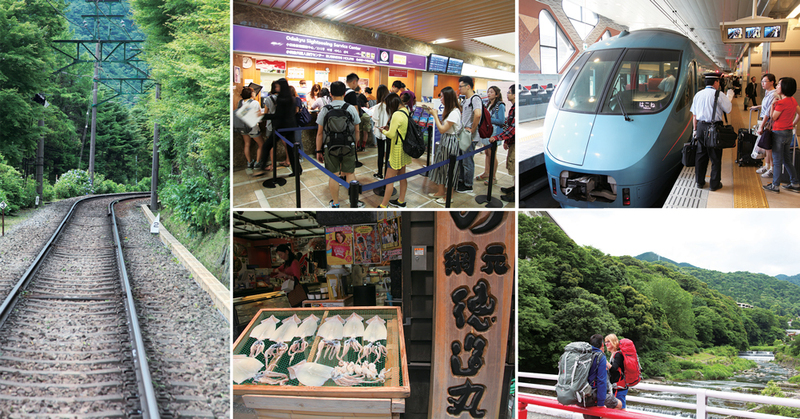 This feature article documents my own day-trip experience to Hakone. I hopped onto the Odakyu Romancecar at Shinjuku and departed for my adventure. As the train raced along the tracks, the view outside my window gradually changed from blocks of generic buildings to luscious green scenery. After an 85 minute ride, I reached the hot spring paradise – Hakone. Of the many different ways to reach Hakone, the Odakyu Romancecar, departing from Shinjuku Station, is the most convenient and comfortable of them all. The Romancecar can be accessed through conventional train lines by paying an additional fee and the enhanced holidaying experience provided through the “saloon seats” makes the Limited Express train trip popular amongst many travellers. Shinjuku Station on the Odakyu Line also has a counter for international visitors that offers assistance in a variety of languages. 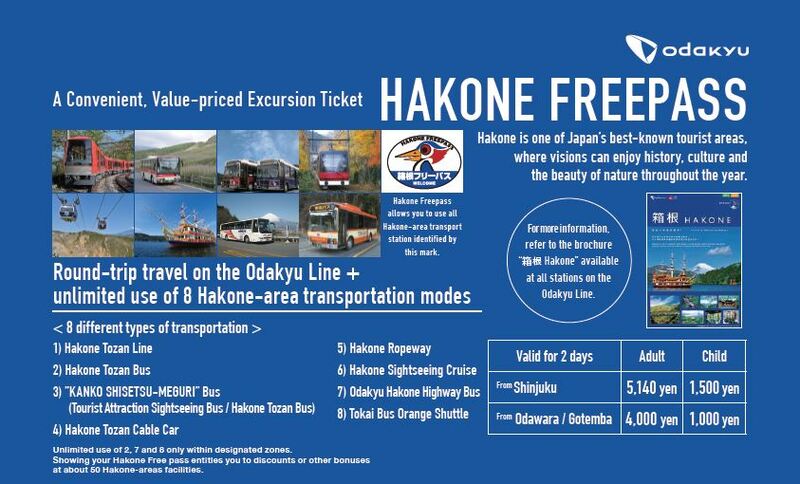 The “Hakone Freepass” allows for unlimited travel on different modes of transport for 2-3 days and comes highly recommended. The mountainous location of Hakone means that different forms of transport have been set up to traverse the town, such as: the Hakone Tozan Railway, the Cable Cars which climb up precarious slopes, The Hakone Ropeway stretching between mountains and the cruise ships sailing around the lake. 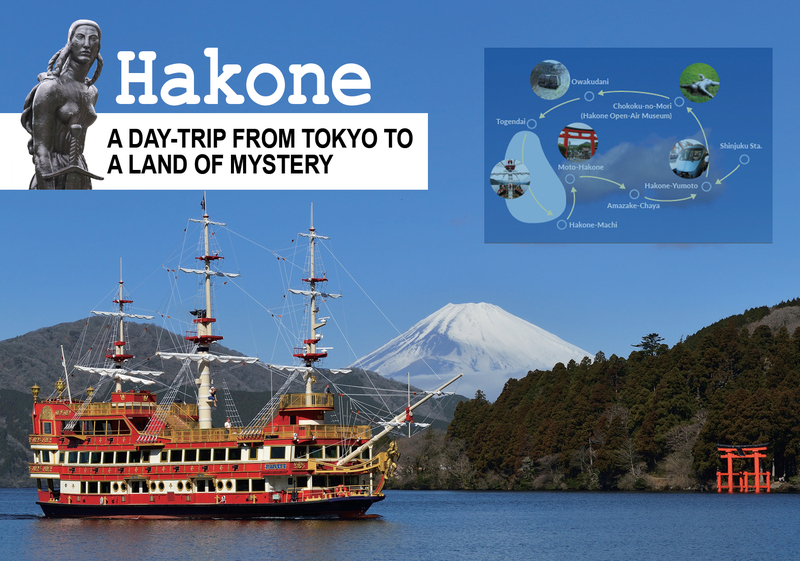 Not only can you experience the different sights Hakone has to offer by taking a ride on the various modes of transport, but you can do so without the hassle of buying individual tickets by taking advantage of “The Hakone Freepass”. Onboard the Romancecar, vendors walk through the train-carriage aisles with drinks, lunchboxes and even alcohol available for purchase. Being able to sit back with a drink in hand as you watch the scenery go by from the comfort of your seat is the Japanese way to travel by train. After relaxing in the Romancecar for the short 85 minutes, the train came to a stop at the entrance of Hakone – Hakone-Yumoto Station. From there, my plan was to transfer over to the Hakone Tozan Railway and head over to the Hakone Open-Air Museum, which is famous for its sculptures displayed outdoors amongst the majestic mountains, however, I decided to take a stroll around the town surrounding the station first. Numerous shops line the streets in front of the station. The shops are jam-packed with local delicacies, snacks and souvenirs. As the main thoroughfare for day-trippers to and from the hot springs, it is always a bustling hot spot. Taking a step behind the hustle and bustle treats you to a view of a grand river flowing between the mountains. 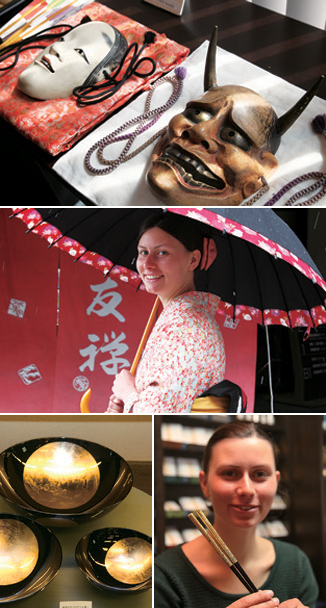 The ability to find little captivating treasures in unexpected places is one of the joys of exploring Hakone. From Hakone-Yumoto Station, I took a trip on the Hakone Tozan Railway. At an altitude of 340 metres above sea-level, the train zig-zagged along the 6km long railroad, weaving through the mountains. After about half an hour of enjoying the view whilst being gently rocked by the train, I arrived at my destination – the Hakone Open-Air Museum. The Hakone Open-Air Museum embraced the natural beauty of Hakone and opened its doors in 1969 as Japan’s first ever outdoor museum. It spans across approximately 70,000 square metres in area and the nature-abundant garden houses 120 impressive sculptures on display. 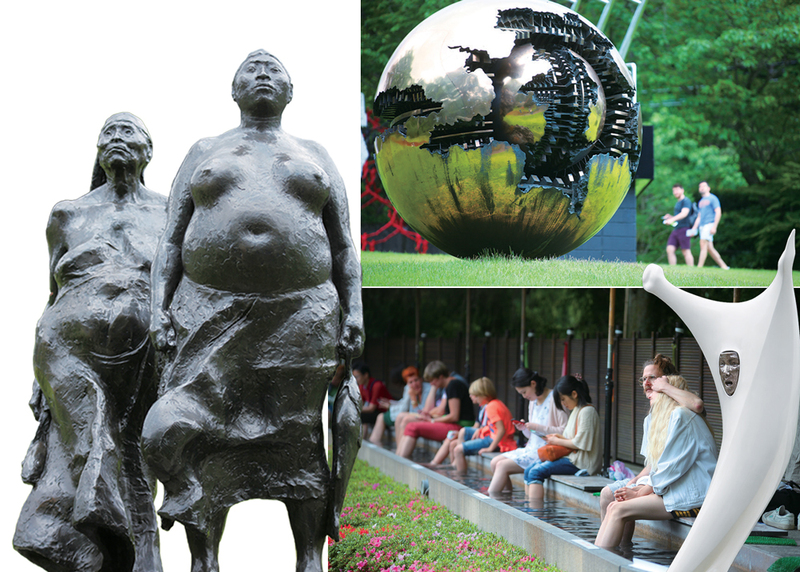 A leisurely stroll through the great outdoors reveals the many different faces of the grand sculptures. The sight of the mysteriously profound objects towering over everything outside left me with an indescribable feeling of awe. As I walked down the promenade and delved into the grounds, I came across the Picasso Pavilion displaying a collection of works by the one and only, Pablo Picasso. 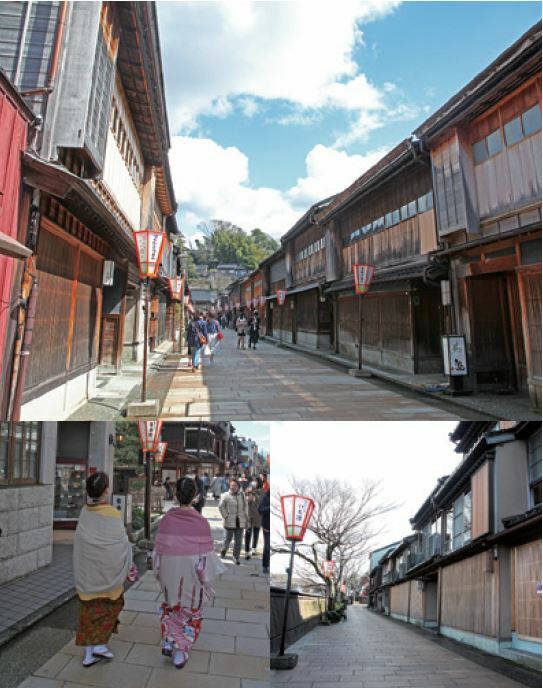 Operating in conjunction with the gallery are a café and an onsen footbath, where I found groups of families and couples taking breathers after their stroll. The ability to leisurely stroll through the open-air museum, with scenery that changes along with the seasons, was a truly unique and exciting experience. This is definitely a spot to drop by when visiting Hakone. hub to transfer onto the Hakone Ropeway to Owakudani – my next destination. Caught up in the thrill of ascending the steep slopes in the cable car, I arrived a Sounzan Station in no time at all. From there, I transferred over to The Hakone Ropeway. With services operating at one minute intervals, I did not have to wait very long to hop onto my transfer. As I gazed upon the beautiful scenery below, an astonishing sight took my breath away. A station away from Sounzan is Owakudani. Owakudani (literally, “Grand Boiling Valley”) was formed approximately 3000 years ago from an eruption of steam causing a landslide, coupled with a small scale pyroclastic surge approximately 2900 years ago that brought about a large deposit of volcanic sediment. The mineral rich hot springs create a dreary atmosphere as plumes of white smoke fill the air with the force of volcanic activity still ever present. Until the Edo period, it was known by locals as the “Valley of Hell” and now, despite the fear it once garnered, it is a top tourist attraction in Hakone for the unique scenery it offers. With the awe-inspiring sight suddenly appearing before my very eyes, I was speechless. The smoky scenery can be experienced up-close upon arrival at Owakudani and, on clear days, Mount Fuji can also be seen framed by the colours of the changing seasons. While it was once possible to hike to the source of the rising smoke, it is now prohibited due to the increased volcanic activity. One experience that absolutely cannot be missed, is the eating of kuro tamago (black eggs), which are said to add 7 years to your life. The act of boiling uncooked eggs in Owakudani causes iron (a prominent hot spring mineral) to permeate through the porous egg shell. Hydrogen sulphide then reacts with the iron, turning it into black-coloured iron sulphide, resulting in black boiled eggs. As time went by, the health benefits from the hot spring minerals somehow translated into increased longevity through the ingestion of the eggs. The highly unique black boiled eggs are definitely worth a try. 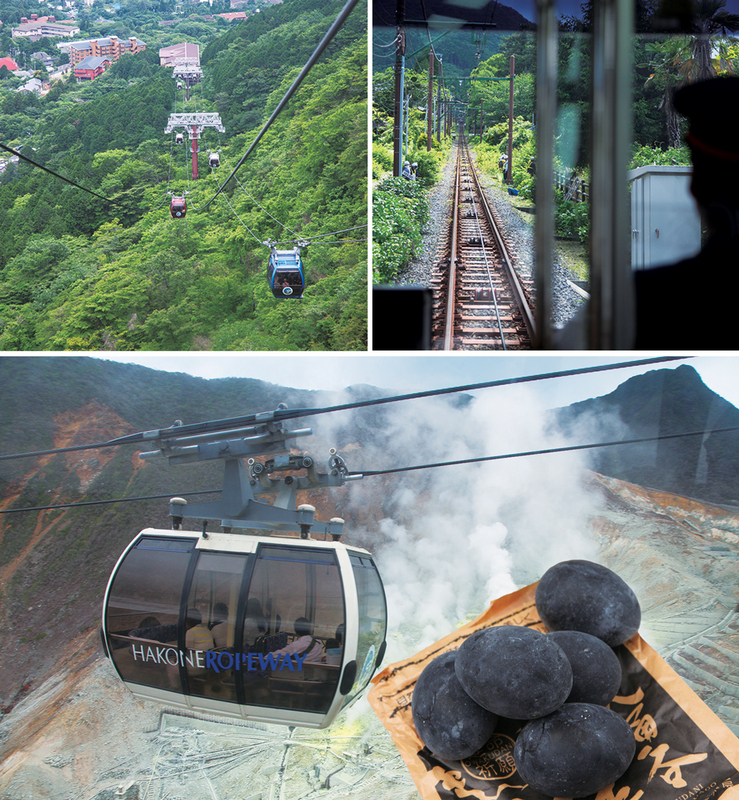 After enjoying the magnificent view and delicious black eggs at Owakudani, I hopped back onto the ropeway for my next destination – Togendai Port. Togendai is situated on the northern bank of Lake Ashi and is a highly trafficked hub for different modes of transport including the ropeway, buses and tour boats. The perfect way to see all the great sights around would be to set up base at Togendai and head further north to see the Hakone Venetian Glass Museum or The Little Prince Museum (opened in 1999 to honour the author’s, Antoine de Saint-Exupéry, 100th birthday). Alas, with only a day to spend exploring Hakone, I decided to take the Hakone Sightseeing Cruise to the northern Hakone-machi Port and then make my way back to Hakone-Yumoto from there. The Hakone Tokaido Checkpoint greets me as I sail into to Hakone-machi Port. Upon the commencement of the Edo period in 1603, various checkpoints were placed at various major roads as observation posts by the Tokugawa shogunate. The checkpoint at Hakone played a vital role during the Edo period in monitoring the Tokaido Road (the most important of the Five Routes in Edo Japan) in much the same way border security patrols country borders today. Nowadays, tourists are able to explore the fully restored historical checkpoint after 5 years of hard work put into excavational digs and restoring old furnishings. Make sure to include the Hakone Tokaido Checkpoint on your list of places to visit! 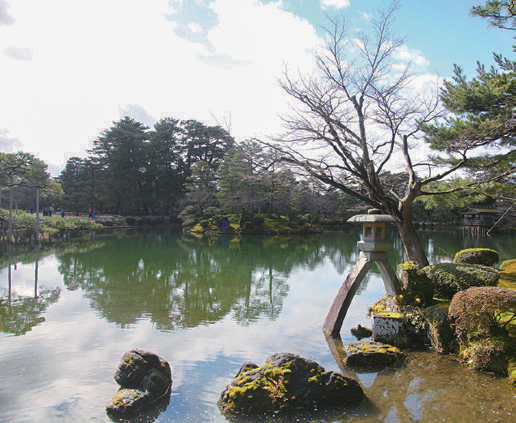 Located at a 10 minute ride on the Sightseeing Cruise or a short 30 minute walk from Motohakone Port, is the gorgeous Hakone Shrine which can be seen beyond the torii gates on the lake. 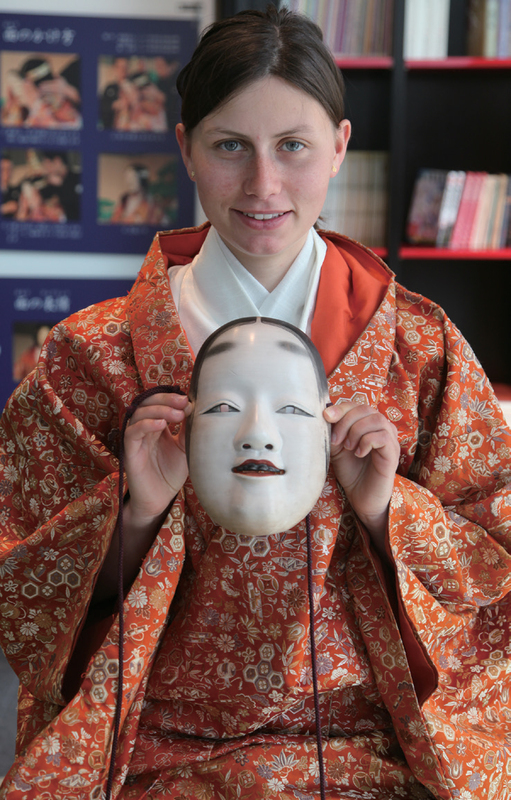 This is another great spot steeped in history for a deeply spiritual, cultural experience. 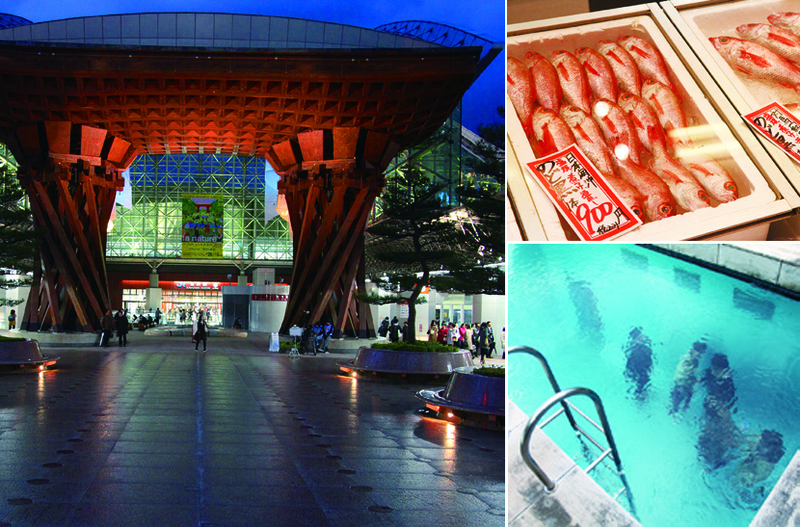 After getting my art fix at the Hakone Open-Air Museum; walking in mid-air on the ropeway; eating unique black eggs whilst gazing upon an intrepid view; and soaking up the sights of Hakone on a lake cruise, I was ready to wash my exhaustion away with a relaxing dip in a hot spring, however, there was one more place I wanted to drop by on my way back to Hakone Yumoto. I hopped onto the Hakone Tozan Bus from Motohakone Port and took a little break at Amazake-chaya. Amazake-chaya is situated precariously on the Tokaido Road halfway up Mount Hakone. The teahouse, which boasts a 400 year history, famously served the feudal lord procession travelling along the route to and from Edo (now Tokyo) for many years. Today, it is a much-loved refuge for hikers traversing Hakone. The current owner is a 13th generation ancestor of the original owner some centuries ago. Even to this day, their ecipe and brewing methods for amazake have not changed since the Edo period, with local Uruchi rice and rice malt the only two ingredients used in their organic concoction. Amazake is a type of traditional, sweet drink and is known for its　characteristically cloudy appearance. While the character for word for wine – sake – is contained in the name, it contains an almost negligible amount of alcohol, making it more of a sweet beverage. As expected of a Japanese purveyor of amazake, you can also enjoy delicious Japanese sweets and marvel at the impressive thatched roof while you sit around the indoor hearth. 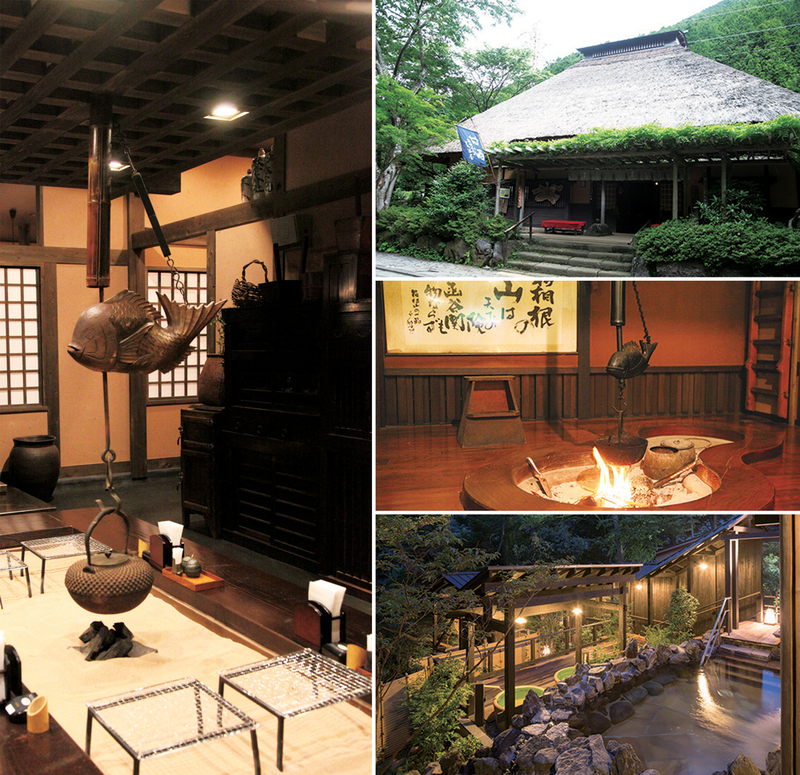 To able to sit back and feast your eyes on the unchanged Edo period furnishings in the tea house before setting off for the hot springs is a seasoned traveller’s dream.